Full Service Relocation — Boulder All Star Movers, LLC. Every truck is our fleet is an Isuzu NPR HD with a 20'ft or 26ft Morgan Dry box. These vehicles give us great accessibility to small parking lots, back alley ways and tight corners that traditional trucks cant make it to. These nimble yet highly efficient trucks can go the extra mile where your standard shippers truck won't fit. We have the option of a 14'ft walk ramp, a 2500lbs. hydraulic lift gate, or a 5000lbs. hydraulic lift gate depending on the vehicle. All of our trucks come fully loaded with industry leading mounting and securing e-track placement. These e-track systems allow us to place your items and secure them to the wall with no wiggle room or space for shifting during transit. Our heavy duty o-ring hooks allow us to secure an S-hook to just about any position in our trucks to ensure your goods a safe and efficient transit. 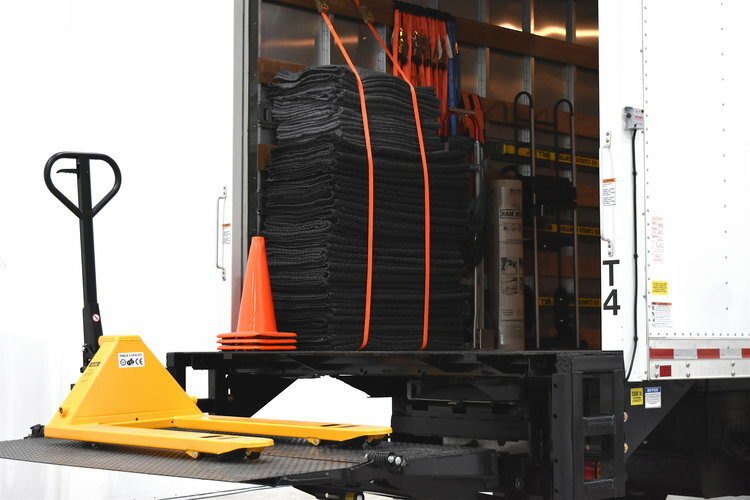 All of our trucks have a variety of heavy duty ratchet straps as well as medium duty tie down straps to ensure your goods are securely placed in our vehicles with no room for shifting during transit. Our combination of extensive e-track placement and S-hook straps allow us to secure every piece of cargo safely and securely during transit. 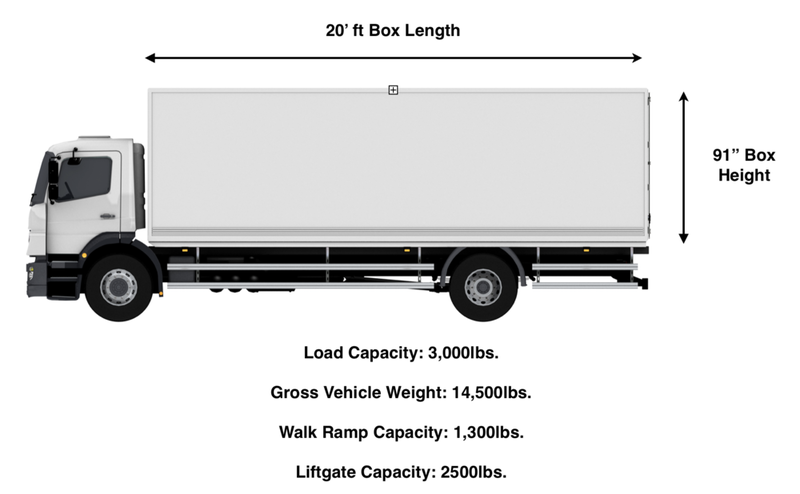 All of our trucks are equipped with a heavy duty cargo net with e-track mounting capability. These cargo nets allow us to ensure a completely safe transit of your goods without anything shifting or moving during transit. These nets are crucial for smaller items or heavy loads of boxes and freight to prevent anything from moving around or shifting during transit. When transporting any type of freight or household goods, safety is our number one priority. All of our trucks come equipped with rear and front chock blocks to prevent any movement of the trucks while loading & unloading. Most companies will choose to skip this precautionary protection method due to the low chance of any movement happening. At Boulder All Star Movers, we never even allow the chance. On top of the chock blocks each truck will have three reflective cones to block off the loading or unloading area to ensure a safe and efficient work space. All of our trucks come fully stocked with unlimited 5" x 1000' rolls of shrink wrap to be used to protect all of your goods during transit. Once we apply our half inch thick protective blankets, we use this shrink wrap to cover the item to ensure the blanket is snug and encapsulates the entirety of the item during the entire moving process. On top of that, each truck will come stocked with a full tool bag with just about every tool you could ever need for assembly & disassembly of house hold goods and furniture. Anything that needs to be taken apart or put back together, we have you covered! All of our trucks will have an appliance dolly and box dolly to help assist with any type of house hold goods or boxes that might come our way. On the right hand side you will see the stack of half inch thick protective blankets and quarter inch thick protective blankets we use to wrap all of your house hold goods and furniture. These protective blankets help ensure the integrity of your items during transit and help to prevent dings scratches and damages along the way. For any specific type of equipment please give us a call or make sure to request it on your appointment form & Bill of lading.